The Roman theatre of Plovdiv is one of the world’s best-preserved ancient theatres. 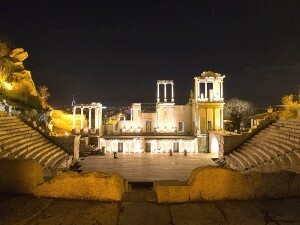 Located in the city center of Plovdiv, Bulgaria, it was constructed during the Roman Emperor Trajan’s reign (98–117 AD). Hosting 5,000-7,000 spectators it is currently in use.